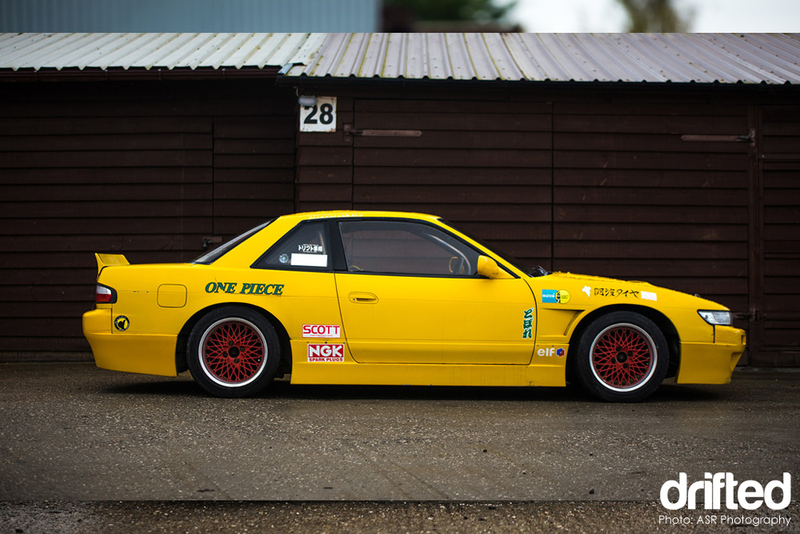 Let us serve you up a prime slice of Japanese drift car nostalgia; Steve’s Rocket Bunny PS13! I spotted this car while (habitually) browsing Driftwork’s For Sale Forum, the early 2000’s JDM styling, Rocket Bunny aero kit, bright paintwork and vintage decals looked so cool I wanted to share it with you with you guys. I contacted the owner and arranged permission to do just that, so – thanks Steve – let’s dive right in. 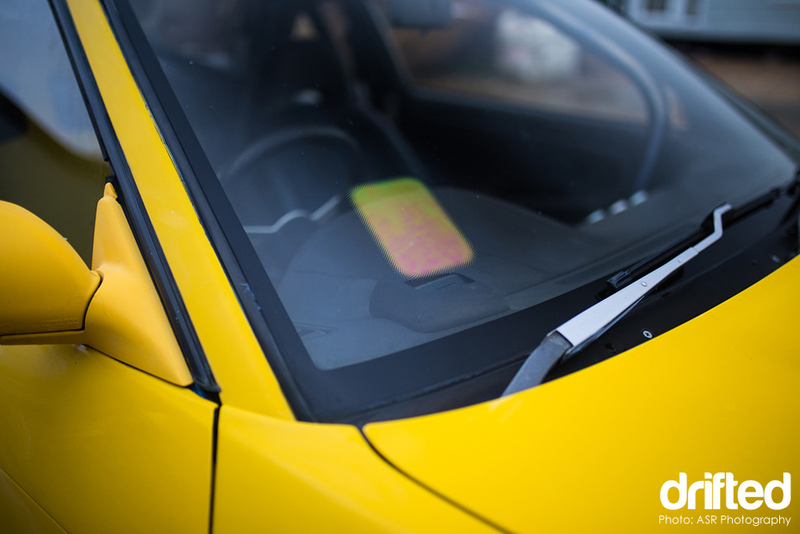 Starting from the outside of the car you can’t fail to notice the bright yellow paintwork. 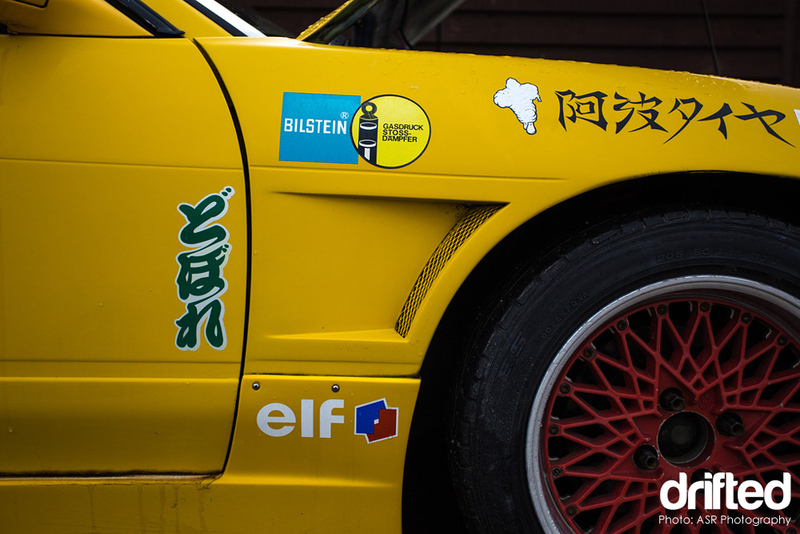 Nissan produced the Silvia range in a variety of cool colours but the eye catching yellow of Steve’s car is really something else. The Rocket Bunny kit looks well fitted and in my opinion enhances the lines of the car. Would you like to learn more about Rocket Bunny aero? 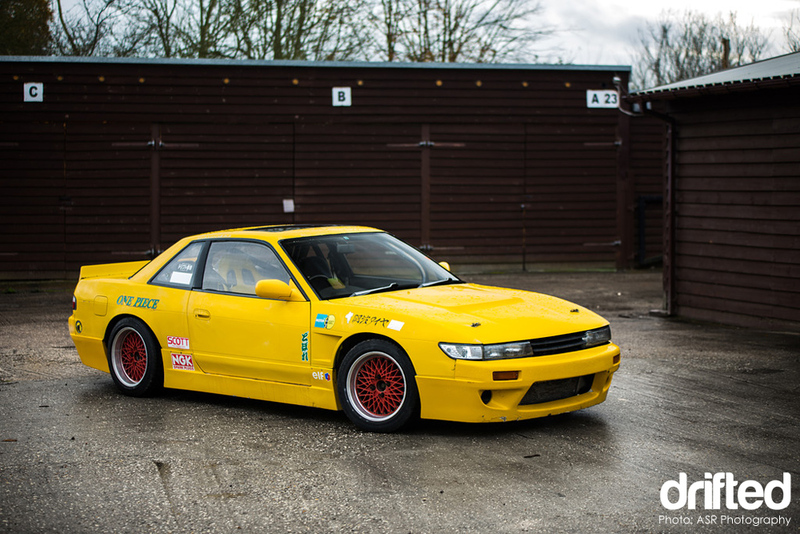 Then check out the 180sx Club’s S13 Rocket Bunny feature. The car features wide front wings while the rears have been pulled. Moving around to the rear of the car you will notice the Rocket Bunny ‘Ducktail’ rear spoiler fixed to the boot lid. It is an aggressive spoiler and it sets off the back of the car nicely. Aftermarket crystal rear lenses update the tired originals. 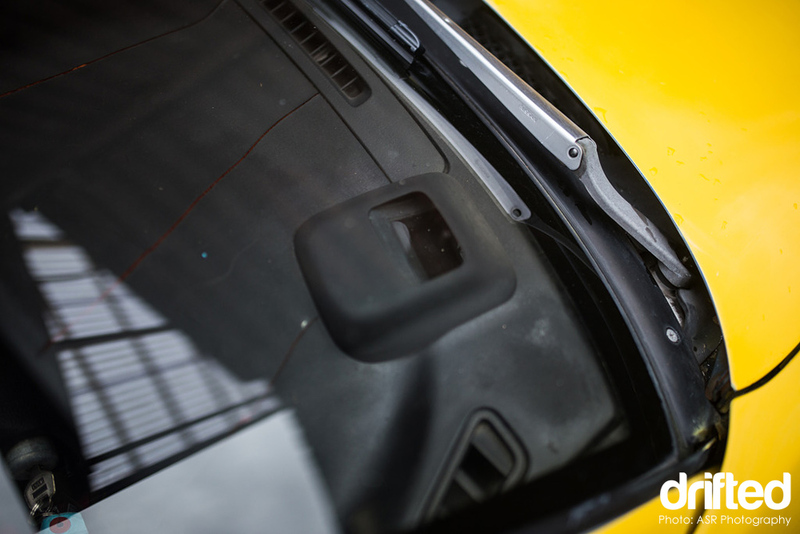 The car wears a square set of 16″ diameter SSR Mesh in 8j width and ET +13 all-round. It is rare to see 16″ rims being used on a Silvia in 2016 and looking at how well this car sits I wonder if we have it wrong a bit wrong? 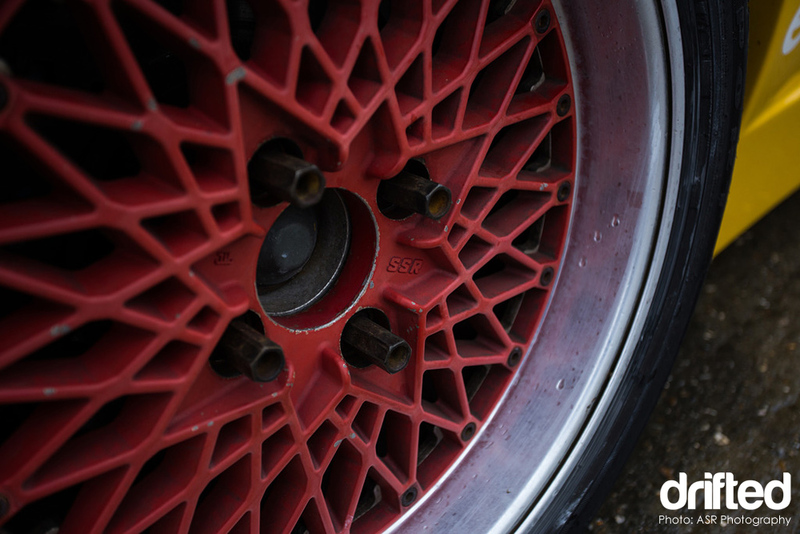 The 16″ wheel diameter flatters the overall period correct look of the car. The red wheel centers also look terrific accented against the yellow bodywork. This is clearly a car that has been driven hard as you will notice some battle scars on the door and rear quarter panel. 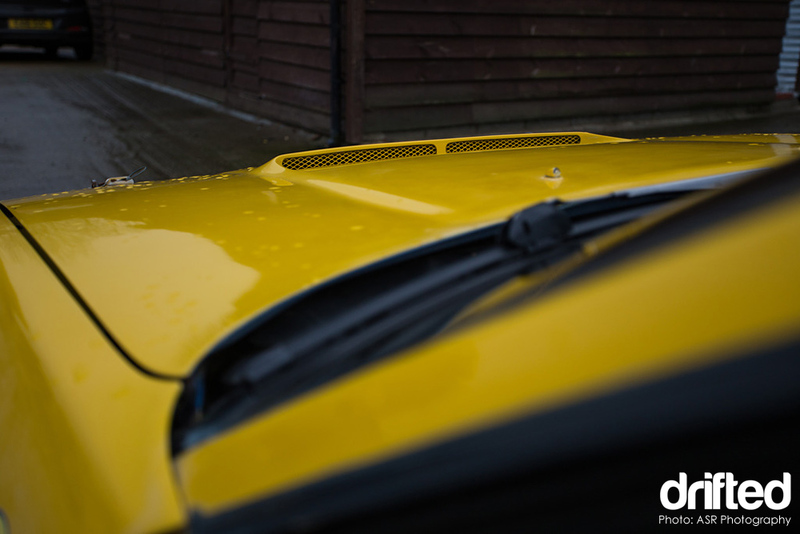 At the front of the car you will notice the vented bonnet / hood with race releases catches installed. 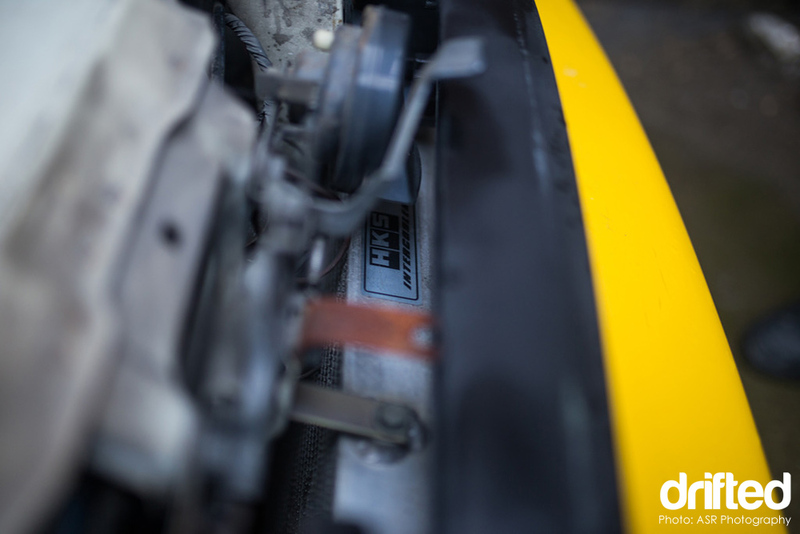 Moving onto the oily bits Steve’s PS13 has been equipped with a catalogue of high end Japanese performance parts from brands such as BLITZ, HKS and Rocket Bunny. An S15 T28R turbo, HKS intake and HKS intercooler provide better intake performance while a stainless steel tubular manifold and 3″ turbo back exhaust system improve the hot side. With the standard AFM still in place it’s probably just under the 300bhp flywheel figure. If you are interested in tuning the SR20DET, you may want to check out our SR20 tuning guide. This is a properly setup drift car so you can expect a compliment of adjustable chassis and suspension components. Steve’s PS13 does not disappoint with adjustable arms all around, LCA’s, coilovers and a 2-way differential all ensuring that initiating and holding a drift should not be an issue. Opening the door and looking inside the car reveals more high end components. 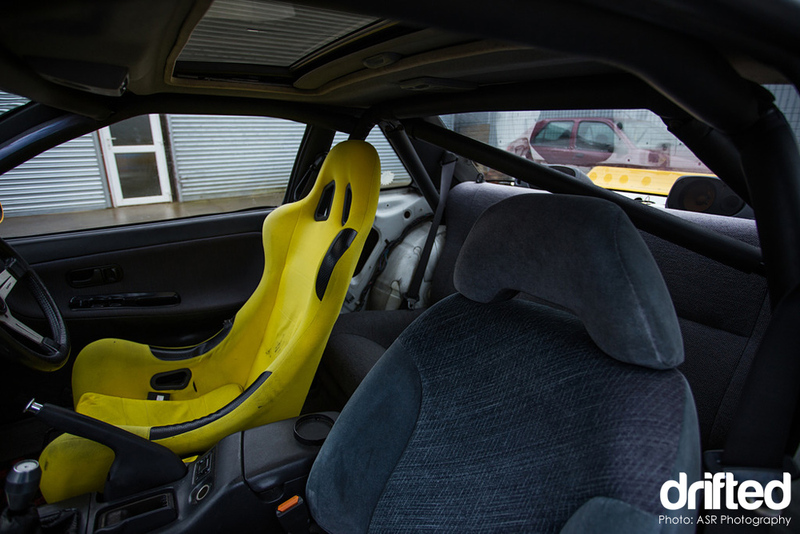 The aftermarket bucket seat matches the yellow of the exterior and provides the stability the driver will need whilst piloting this machine around the track. 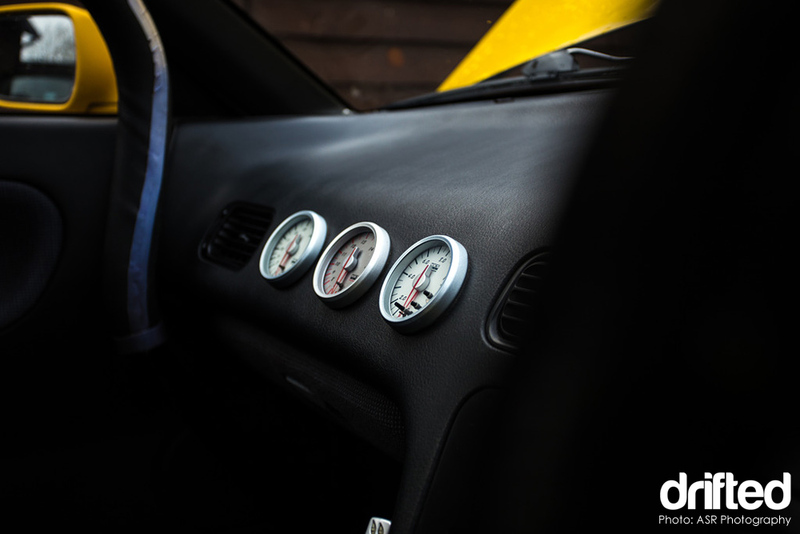 A brace of HKS performance gauges are installed into the dashboard. A 21 point dash dodger roll cage has been installed to enhance chassis rigidity and driver safety. 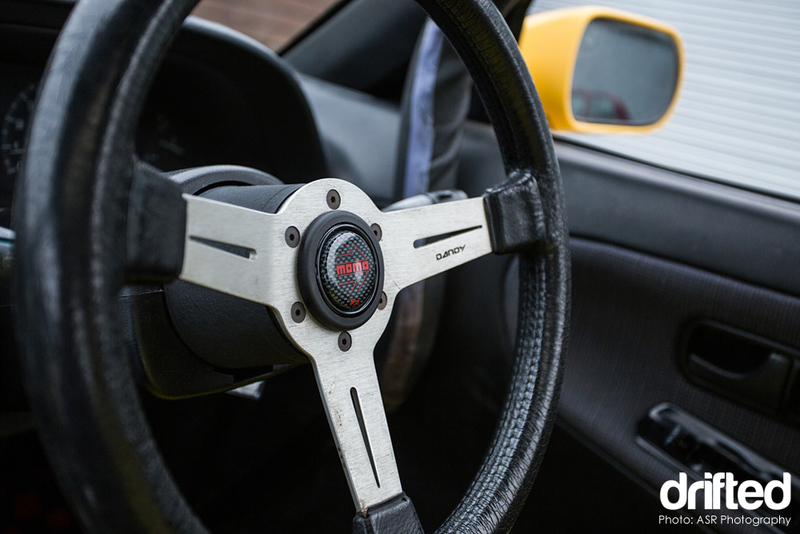 The standard ugly steering wheel has been replaced by this aftermarket wheel and steering boss. 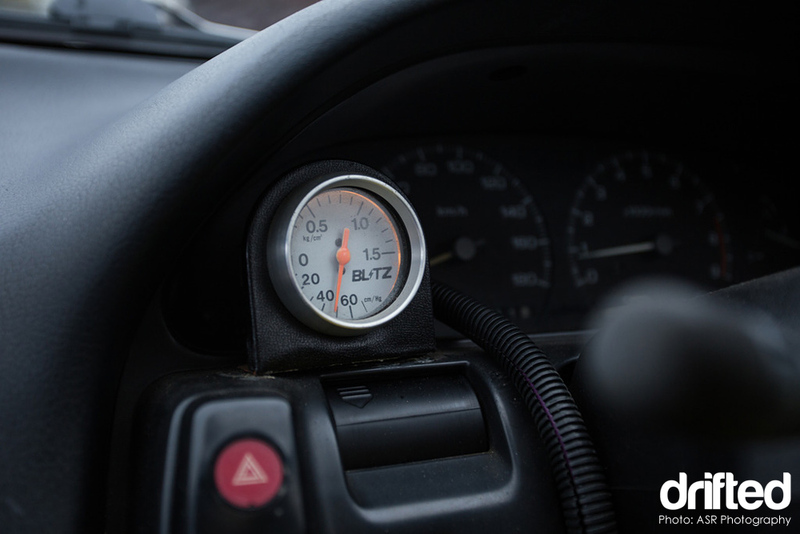 A BLITZ boost gauge is positioned right in front of the dash. 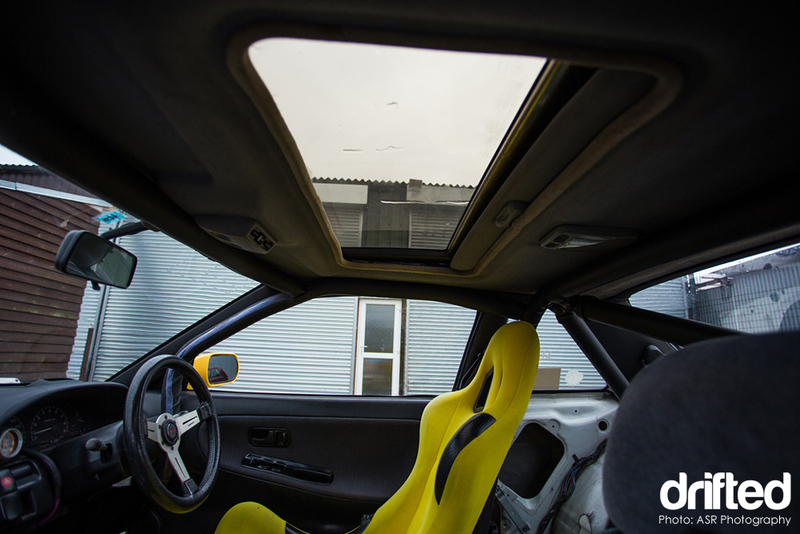 This particular Silvia has been specified with some rare additions, firstly an electric sunroof. And secondly an oh-so-cool Nissan OEM heads up display system. 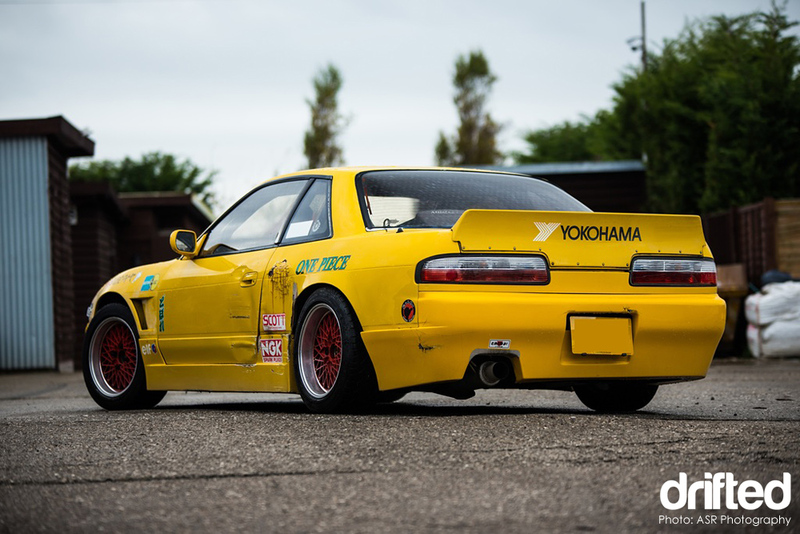 This is a great example of a drift ready Silvia that has been plucked right off the streets of Japan. Great spec, packed with premium parts and ready to drive hard. We love it. This car is currently available for sale in the United Kingdom. You can contact Steve here. Brick headlights (the mintest set with all clips intact). Properly flared rear arches that someone has spent a lot of time on. 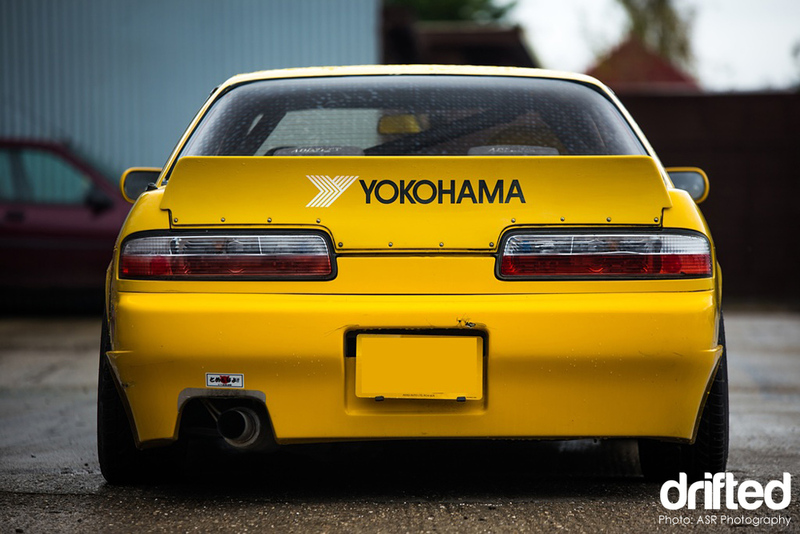 Thanks for reading our Rocket Bunny PS13 feature. Please don’t forget to subscribe to our newsletter to get more articles like this!